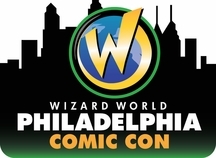 We spent Thursday and Friday at Wizard World Philly Comic Con and it was a fun time as far as cons go. There was plenty to buy and some fun events and panels, but there were no featured guests from Star Wars this year. Considering how hot Star Wars is now, outside of the vendors, Star Wars was non-existent this year. Matt Smith (Dr.Who), David Boreanaz (Bones, Buffy), Nathan Fillion (Serenity, Firefly, Castle), Sebastian Stan (Captian America), Whoopi Goldberg, Norman Reedus and many others had autograph sessions and photo ops. There was no photography allowed by Press once the actors were signing (we could have taken some but we wanted to follow the rules), but we were able to hang around after the con shut down and get shots of the empty booths. There was a very cool X-Men: Days of Future Past booth, where you could film your own video and pull it up online later, and an awesome Guardians of the Galaxy photo booth ,where you were literally put in the lineup (click here to see Mark’s photo from Instagram). The vendors had tons of Star Wars items from Hasbro to Sideshow and most of them were priced reasonably. 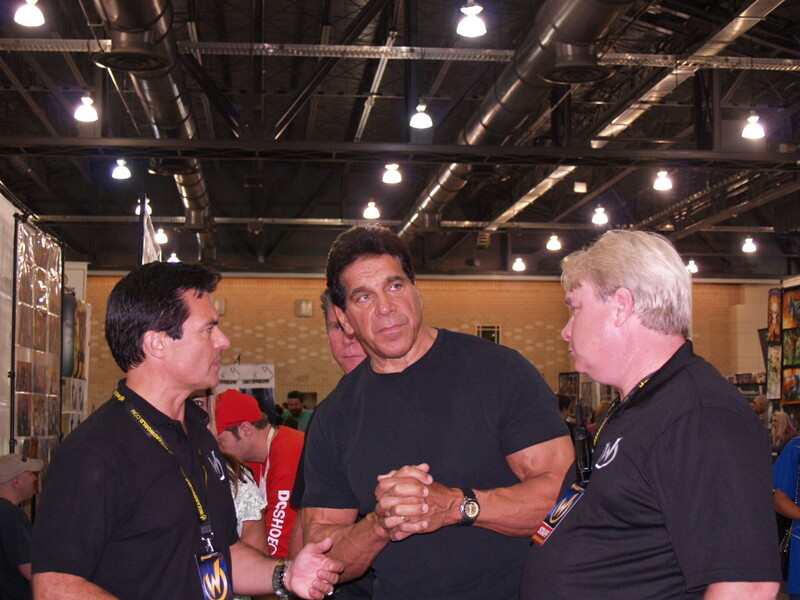 We were able to meet Lou Ferrigno as he was walking the floor. He wasn’t doing any posed photos or autographs on Thursday when we saw him, but he was kind enough to say Hi and shake some hands as he walked to his destination. The Classic Batmobile, Jurassic Park Jeep, a custom DeLorean DMC-12 from Back to the Future and a very cool The Walking Dead decorated car all were on display, as well as, a Dale Earnhardt race car that he drove in 1997 and 1998. Tom Cook (Classic TV Animator) and Jim Cheung (Marvel Artist) both had full booths both days we were there. Quirk Books was there, and they were kind of tucked away but if you found them, they were handing out large posters for both William Shakespeare’s The Empire Striketh Back and the yet to be released William Shakespeare’s The Jedi Doth Return. We had planned to go back Saturday as well, but two days was enough to do all we wanted to do. It was a fun time as always, but to go back a third day, there would have had to been more Star Wars guests, panels or artists there that we wanted to cover. Check out over 70 images from our two days there and we look forward to going back next year, where we assume it will be Star Wars overload! Philadelphia Comic Con 2014 Here We Come! We are on our way to Philadelphia Comic Con right now! It’s not as big as NYCC or SDCC but it has grown a good bit over the years. We will be attending today, Friday and Saturday. Be sure to follow us on social media for the latest images and news from the con. There are no featured guests from Star Wars this year but Matt Smith (Dr.Who), David Boreanaz (Bones, Buffy), Nathan Fillion (Serenity, Firefly, Castle), Sebastian Stan (Captian America), Whoopi Goldberg, Norman Reedus and many others are set to headline this weekend! Should be a fun show!